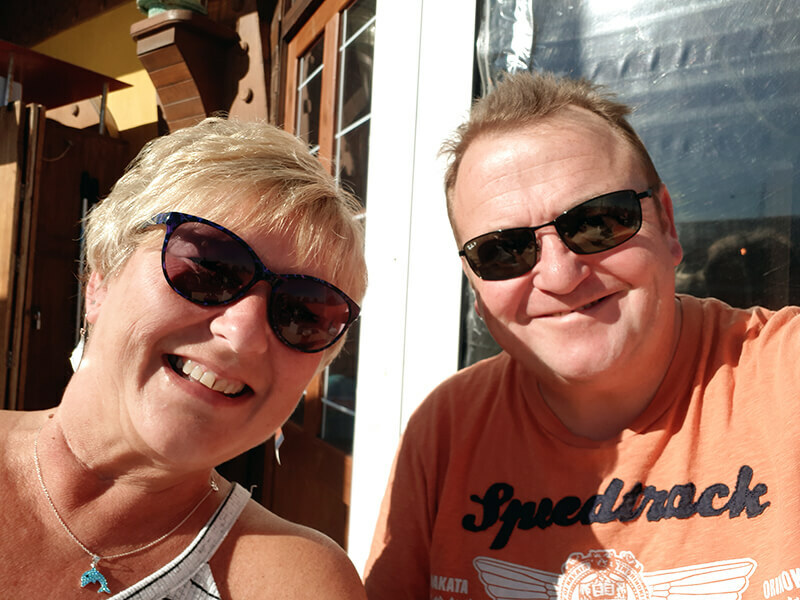 Greg and Julie Byrne can’t wait for their next trip to the Costa Blanca, now that they have their own place there, bought with the help of HomeEspaña. The Byrnes from Gateshead got the keys to their three-bedroom townhouse in Orihuela Costa at the start of May 2018, after agreeing on a purchase price of €160,000. They had spotted the property during a stroll a few months earlier. The same week the couple had arranged to meet with HomeEspaña, having met the team at the A Place in the Sun Live exhibition in Glasgow in October 2017. They mentioned the townhouse that they had seen and HomeEspaña quickly confirmed they had it on their books. Greg and Julie were downsizing in Gateshead, which meant they needed to sell their four-bedroom detached house before they could buy a smaller UK home and their Spanish property. The Byrnes’ townhouse is in a great location within walking distance of Villamartín’s popular plaza, the beach at La Zenia and the Zenia Boulevard shopping mall. It overlooks a communal pool at the front, with another pool accessible from the rear. Its outside space includes front and back patios, with another sun terrace accessed via the main bedroom, which is en-suite. They will use the property as a holiday home, letting friends and family use it until Greg is fully retired when the plan is to spend most of the year there.